EMSWCD once again has provided a dumpster for disposing of pulled and bagged garlic mustard. The dumpster is located on the Historic Highway, in front of the ball field across the street from the Corbett Water District. The dumpster is marked clearly as GARLIC MUSTARD DUMPSTER. A tracking sheet is located below the dumpster – please fill out all of the information requested on the sheet so we can track how much time was spent pulling garlic mustard and where it came from. The dumpster will be available through late June 2016. Please only use this dumpster to dispose of garlic mustard! 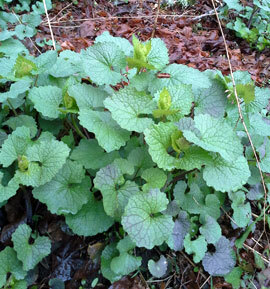 Remember: Re-visit pulled sites frequently to make sure no new garlic mustard plants grow and go to seed.